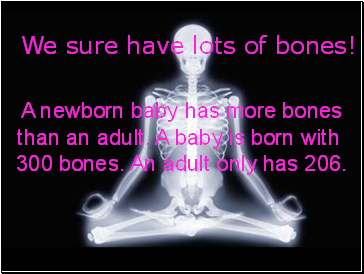 We sure have lots of bones! 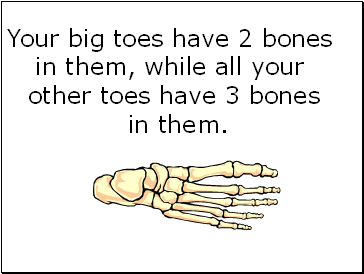 300 bones. 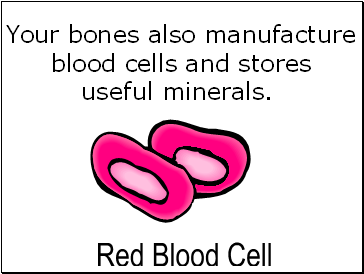 An adult only has 206. 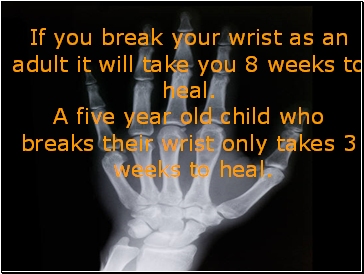 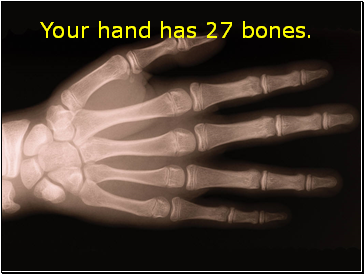 Your hand has 27 bones. 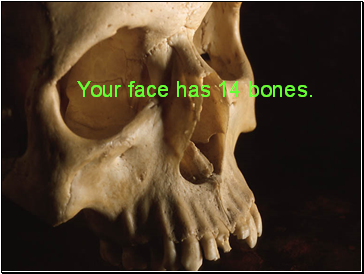 Your face has 14 bones. 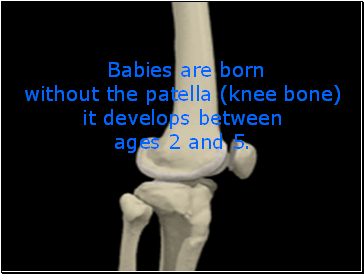 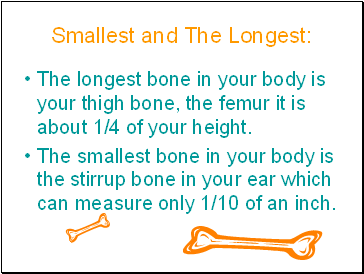 The longest bone in your body is your thigh bone, the femur it is about 1/4 of your height. 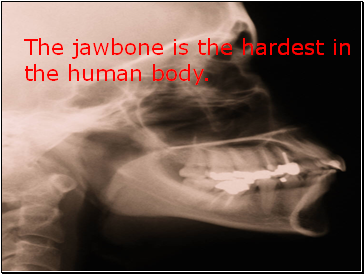 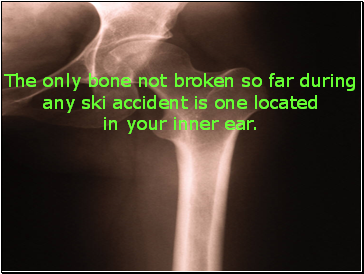 The smallest bone in your body is the stirrup bone in your ear which can measure only 1/10 of an inch. 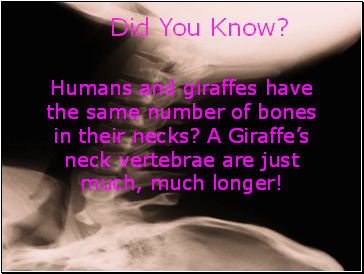 neck vertebrae are just much, much longer! 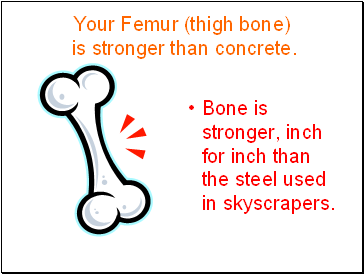 Bone is stronger, inch for inch than the steel used in skyscrapers. 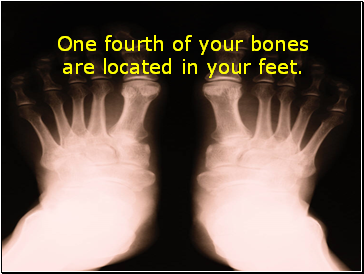 One fourth of your bones are located in your feet. 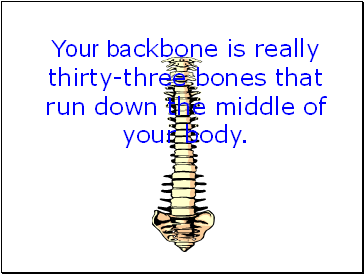 Your backbone is really thirty-three bones that run down the middle of your body.